Getting into your car after a long, hot day can be an unpleasant surprise. When left under the sunlight, your vehicle acts a lot like a greenhouse. The energy coming from the sun can go through the windows and get absorbed by the metal roof. As such, on sunny days, the heat gets trapped in your vehicle, making its interior extremely hot. 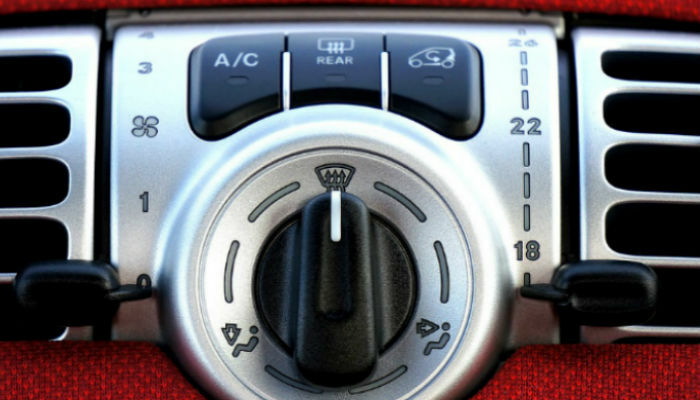 Thankfully, you can always turn on your car’s air conditioning system to cool down the temperature inside. However, there are times when doing this does not alleviate the situation. What should you do with an AC blowing hot air? Well, the best way to fix the issue is to understand what causes it. In this article, we are going to discuss some of the common reasons why you have a car AC blowing hot air. When the refrigerant leaks, it evaporates immediately into a gas once it is not under your closed loop AC system’s closed loops. It is worth noting that AC systems are sealed. So, they do not need refrigerant top-offs. If you notice the refrigerant level running low, then there is a leak that you need to address. Typically, leaks in your HVAC system does not show obvious signs like puddles of fluid under your car. However, a trained technician should be able to find sinister indicators like the oil residue on or around the AC hose units or connections. Refrigerant leaks can also happen in the condenser, compressor, and evaporator. In a way, you can consider the compressor as the heart of your car’s air conditioning system. What it does is circulate the refrigerant through processes that allow it to take away the heat from the cabin of your vehicle. However, like other components of your car, the compressor will wear out over time. Because it has a complicated design, your failing compressor can contaminate other parts within the system, causing more problems. Thankfully, there are some ways to prolong the life of the compressor in your vehicle. For instance, you must ensure that it runs for about ten minutes, at least once a month even when it is cold outside. Of course, your best bet is to bring your vehicle to an expert technician, allowing them to visually inspect the condition of the compressor. The air conditioning system in your car comprises wires with relays, fuses, and pressure switches that work together towards delivering safe operation under normal conditions. Because of defects or age, one of these electrical parts may start to fail. It is worth noting that the system is designed to shut itself down when this occurs. This is done to avoid further damages on the system and risks to the safety of the operator. You should know that without the right tools and experience, it can be challenging to diagnose the problem and isolate its cause. These are the top reasons why you have an AC blowing hot air in your car. If you do not have the equipment and skills to repair your air conditioning system yourself, you can always bring your vehicle to a trusted technician. After all, it can be uncomfortable and even potentially dangerous to drive under such conditions. The technician should have the parts, refrigerants, and tools needed to perform the job. As a bonus, they might even give you useful car radiator maintenance tips that will help you prolong the life of your engine.